Best Gift Ideas for Sisters that will Melt their Hearts! Cutest Gift Ideas for Your Sister! I have two sisters and I love them very much! They are so different and each one is very special in their own special way! I decided to build this gift idea for sister list just because they deserve their own gift list category too! Ours sisters are our best friends and no matter what happens in life they always will be! But what to give your sister for her birthday? I always like to pick gifts that are very meaningful and they always come from the bottom of my heart….. I really don’t like ‘traditional’ stuff, and I am all for unique! 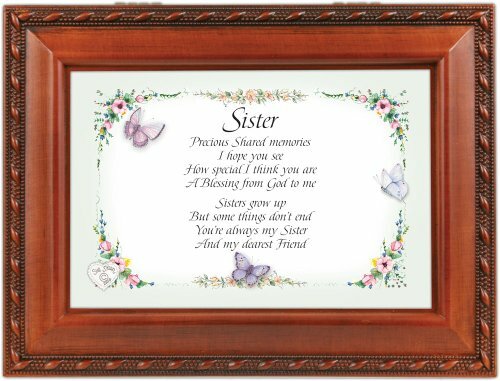 Since there are so many great stuff out there designed specially for sisters, I decided to create this page displaying my favorite ‘sister’ gift ideas! I have two sisters and I’m always trying to find something cool and unique to get them on their birthdays and for Christmas and that’s why I LOVE to design cute sister mugs! They always make great sister gift ideas! 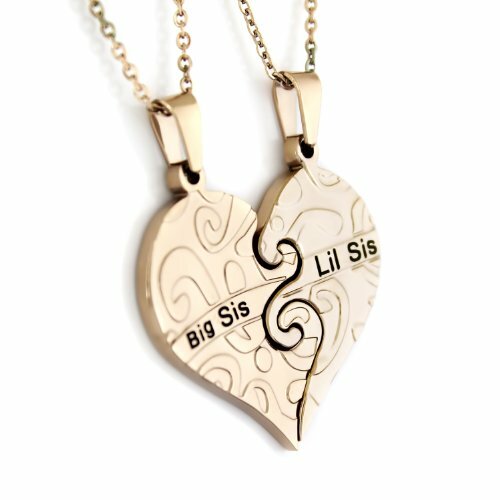 Cutest Gift Collection for Sisters! 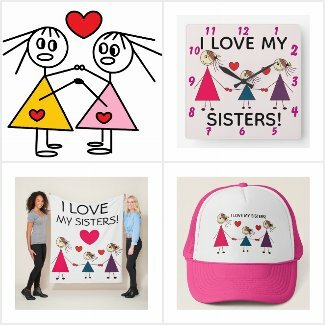 This is a beautiful collection of personalized gifts made especially for sisters! It will melt her heart! It is the perfect birthday or Christmas gift idea for sisters who LOVE each other! *Just pick the best gift for YOUR sister! Beautiful Gift Ideas for Sisters! I also am crazy about these cute sister figurines! They are just so adorable!! This one is one of my favorites!! Two sisters looking at each other and holding hands! Willow Tree Two Alike: Sweet Gift for a Sister! Give your sister a sweet sister figurine! 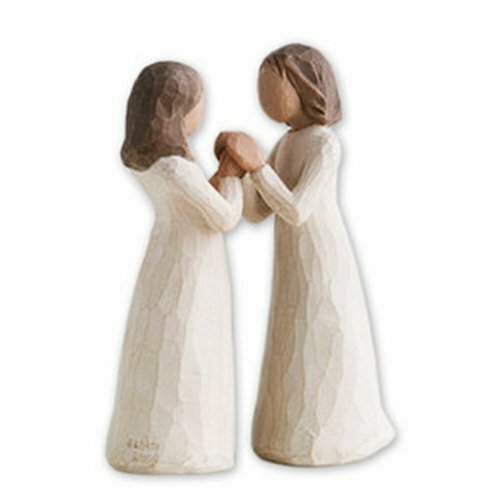 Cute figurines are very meaningful and make great gifts for sisters! 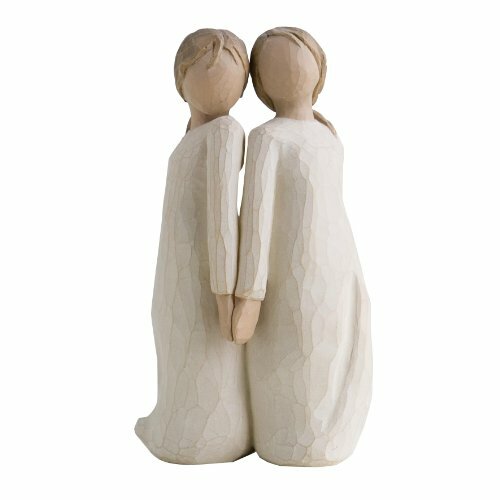 How adorable is this Willow Tree sisters figurine? Beautiful Gift Idea for Sisters! Another great gift idea for sisters is a sister music box! I love this one not only because it has a beautiful, loving message on the front, but it also plays one of my favorite songs of all times, ‘That’s What Friends Are For’! It also allows you to put your favorite picture of you guys together! Look at this cute sisters picture keychain with a beautiful ‘sisters’ message! It says “cool sisters stick together”! *Just pick the best picture of you and your sister together! How about a cute sister pillow as a gift? What a great fun and affordable gift idea for sisters!!! They are so cute and meaningful!! She is gonna love getting one from you! She can put it on her sofa and every time she sees it she is going to think about you! What a gorgeous and colorful sister fleece blanket! I bet she is going to love it! How cool is this sisters snowglobe? Isn’t it a great sister gift? She will always be reminded that no matter what, she will always have a best friend! How awesome is this football style t-shirt for sisters? It says ‘BEST SISTER’ on the front and ‘#1’ on the back! This gift says it all! My Favorite Gift Ideas for Sisters! Of course sister jewelry also make excellent gift ideas for sisters! This is one of my favorite sister heart-shaped necklaces! It is two ‘half’ hearts one for each sister! Each one will wear a half heart that will come together every time they see each other, but will also remind them that no matter how far apart you are, you are always in each other’s hearts! This one is even more special, because you will add YOUR photo of you and your sister together! Every time she looks at her wrist she will see you and her together! I still cry every time I hear this 90′s song!